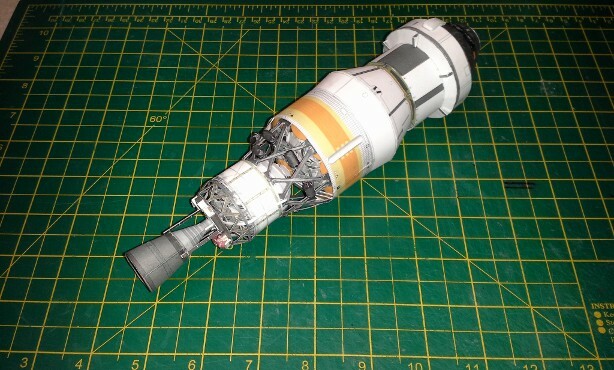 Before we started building the Delta IV Heavy, we built up the AX< Paper Scale Space Models' 1/96 scale version of the EFT-1 configuration of NASA's new Orion Spacecraft. 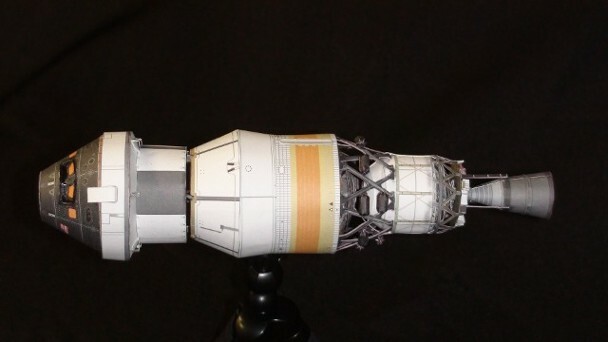 On EFT-1, flown on December 5th, 2014, the Orion was lofted to an altitude of over 3500 miles above Earth, then shoved back down through the atmosphere, in order to test the new heat-shield, at near Lunar flight return velocities, along with the rest of Orion's recovery systems. 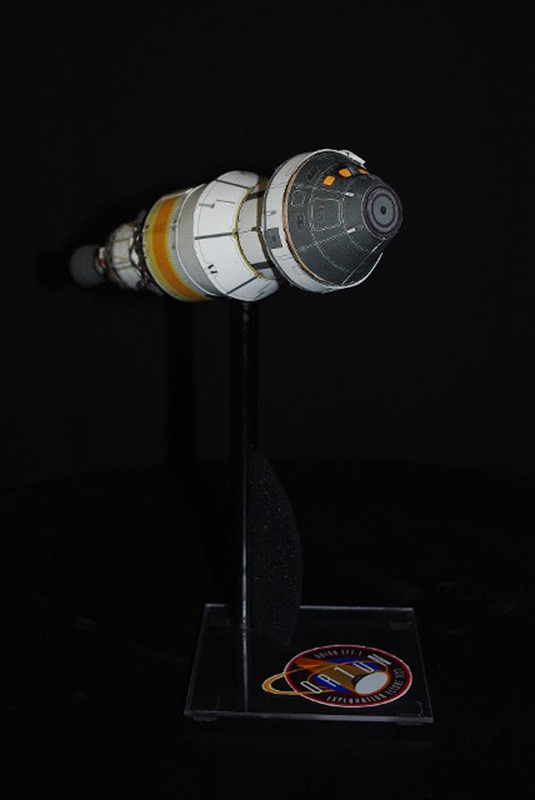 It was an impressively successful first flight for the new Multi-Purpose Crew Module, and after almost two year, waiting for someone to produce a model of Orion, the AXM version was the only one I could afford, as the 3D printed versions offered on Shapeways.com are quite expensive. 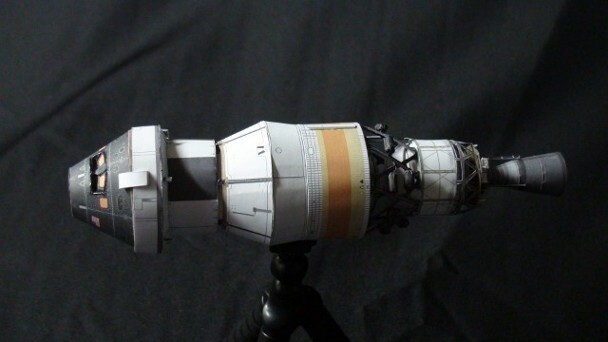 I have become quite impressed with the detail AXM puts into his paper models as the first two vehicles built - the Orbital Cygnus cargo craft and the SpaceX Dragon cargo craft - demonstrated. 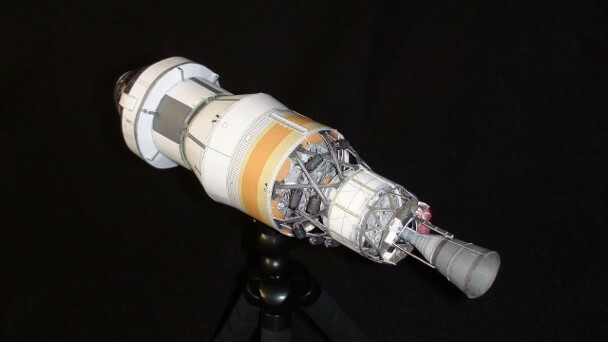 The model has four major elements, which comprised the EFT-1 flight vehicle - the Orion MPCM itself, a "mock" Service Module (basically a mass simulator) with its MPCM Support Ring, the Upper Stage Adapter and the Delta IV Interim Cryogenic Upper Stage, with its single Aerojet/Rocketdyne RL-10 engine. 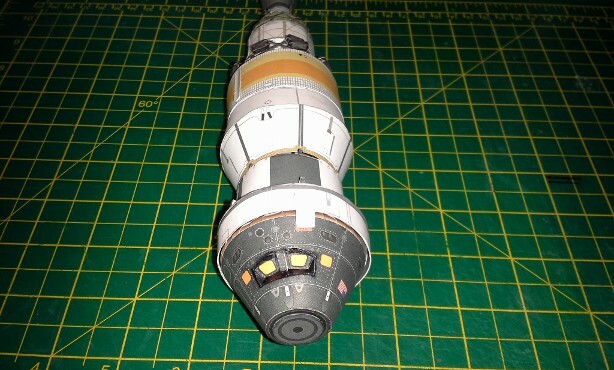 A look down from the front of the Orion MPCM towards the back. 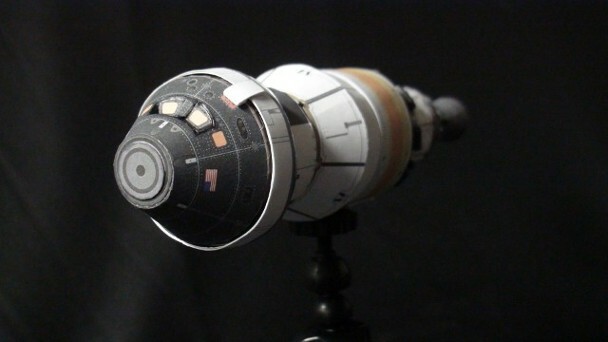 The detail of the model is quite good. 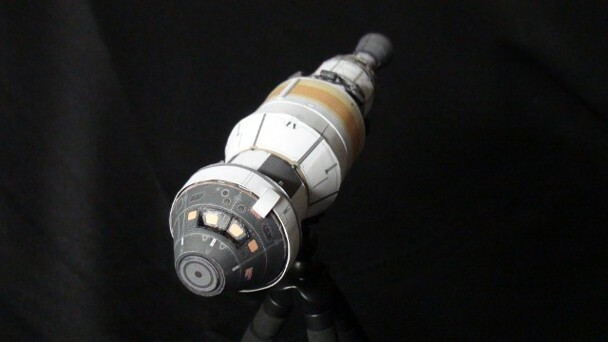 AXM Paper Scale Space Models provides an incredible number of Shuttle, ISS and other Space Vehicle paper models for purchase and download, and many are "free" downloads. 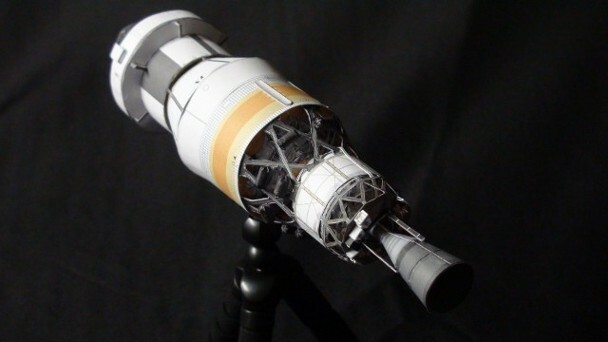 You can find the link to the AXM Paper Model site on our Links page.